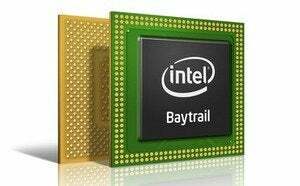 Intel said Wednesday that shipments of its Broadwell processor would be in time to allow PCs to ship this holiday season, as the company handily exceeded analyst estimates for its second-quarter earnings. Its emerging communications chip business, however, struggled badly. Intel reported profits of $2.8 billion for its second quarter, up 40 percent from the same period a year ago. For the quarter, Intel reported revenue of $13.8 billion, an 8 percent increase from the same period a year ago. Although Intel reported profits of $2.6 billion on revenue of $13.8 billion a quarter ago, that came on the heels of the traditionally strong holiday sales season. First-quarter results are generally the lowest point of the year. Analysts polled by Yahoo Finance expected Intel to report a profit of 52 cents per share on revenue of $13.69 billion. Intel’s results come as the company hopes to maintain its market share in the PC market and the lucrative server market, while expanding further into the embedded "Internet of Things." Meanwhile, the emerging market for Chromebooks took 5 percent to 6 percent of overall consumer laptop sales in 2014, and that number will continue to rise, said Stephen Baker, vice president of industry analysis at NPD, recently said. Intel’s Internet of Things group, which houses the company’s Wind River business, also performed well, with revenues up 24 percent year-over-year to $539 million. But it was in the Mobile and Communications Group, which houses the company’s emerging communications business, where sales suffered: revenue plunged by 83 percent to just $51 million, a drop in the bucket for Intel. Intel has worked to develop LTE chips to accompany and later be integrated into its Atom chips and other embedded processors. Perhaps to soothe investors, Intel's board of directors authorized an increase of $20 billion to its share repurchase program, and the company forecast share repurchases of approximately $4 billion in the third quarter. Intel said that third-quarter revenue would be about $14.4 billion, plus or minus $500 million, or up about 4 percent from the second quarter.